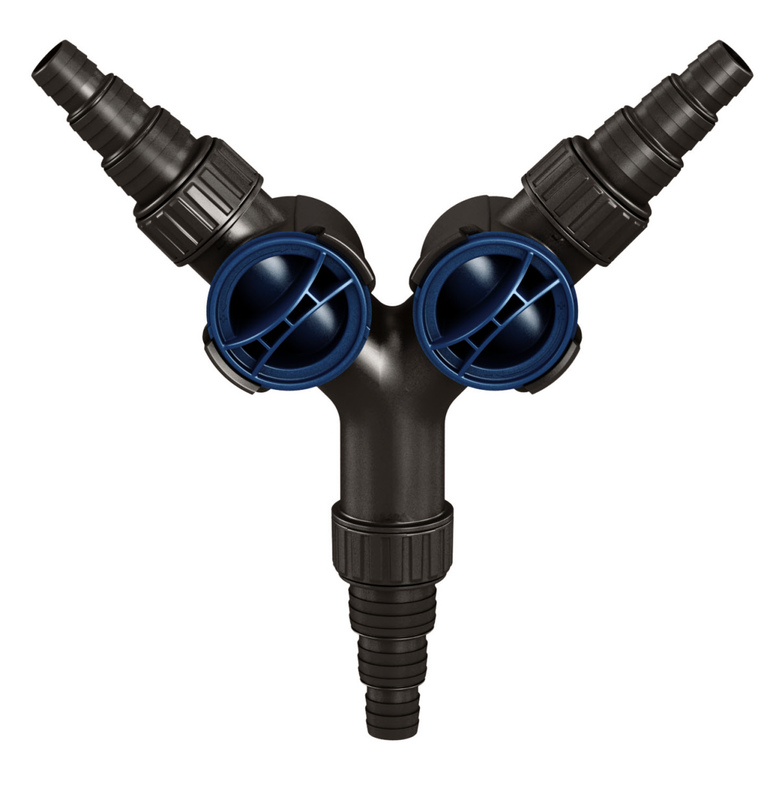 This 2-way splitter from Aquascape is a perfect solution to splitting hoses from one water source. Regulates water flow from one outlet to two independent destinations. The convenient and removable multi-hose coupling allows for components to be easily removed and stored during winter months or when not needed. Water distributor with one inlet and two outlets. Allows the flow of a single pond pump to be diverted and adjusted to two separate outlets for waterfalls, spitters, filters, fountains, etc. Fits 1", 1.25" and 1.5" no-kink tubing.